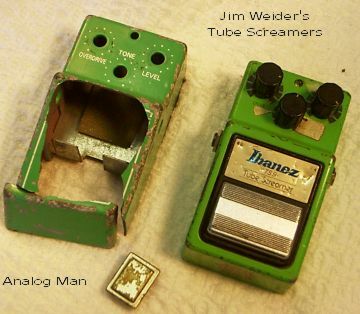 Do you have a Tube Screamer that has been around the circuit and shows it? Send me a jpg file or a link to your picture posted somewhere on the internet (even better!) and if it's worse than these (in my opinion, in a cool way) then you will be the current champion! 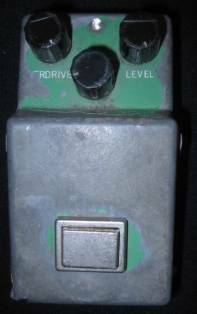 9/2/00 This TS-808 was bought new by Dean King in Virginia, and he has used it ever since! 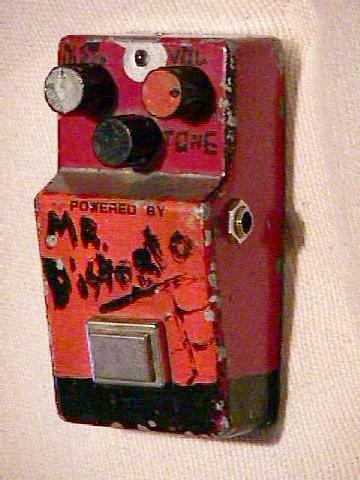 He shipped it to me for some TLC and to undo some terrible mods done by a pedal "expert" in Canada.current champion! 04/01: Mr. Distorto! 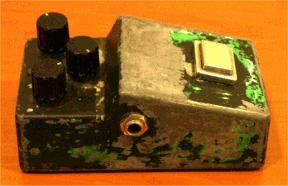 This is one of the nastiest looking pedals ever, from Al in Seattle, WA. He got it about three years ago for $125, in exactly this condition. He's grown fond of the paint job actually, and the thing sounds outstanding. This is not a tubescreamer but it sure is beat!! This will show you why you have to be careful buying on EBAY, the seller shipped it to me direct for my mods, and the buyer was going to pay me directly for the mods. But when I got it there was NOTHING I could use except the shell (after sand blasting away all the grime). 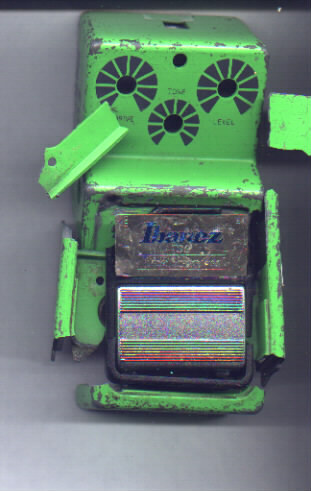 This pedal was dragged out of the ocean in Hawaii and has no working parts at all. Note that there is only one transistor and one pot. 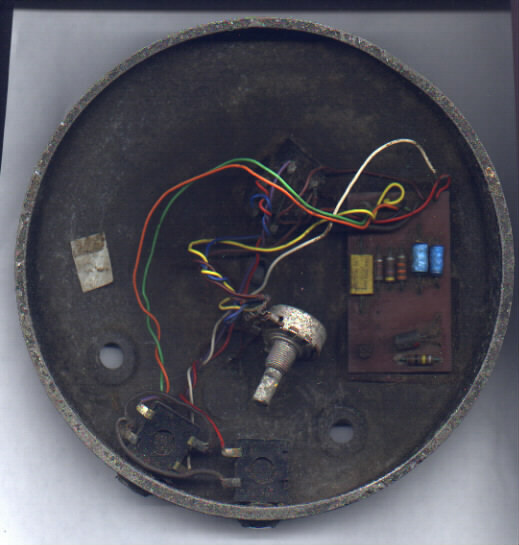 The original TS-808 (or what's left of it!) on the left was on tour with THE BAND. In Germany, Rick Danko (who was no lightweight!) stepped on it and you can see the result. 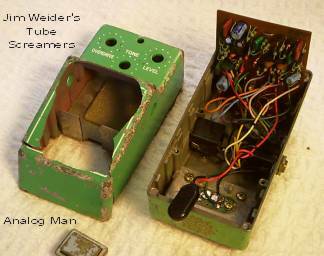 Jim Weider took the guts and put them into the TS9 shell on the right, as they fit by removing the 808 power jack and installing a TS9 jack. 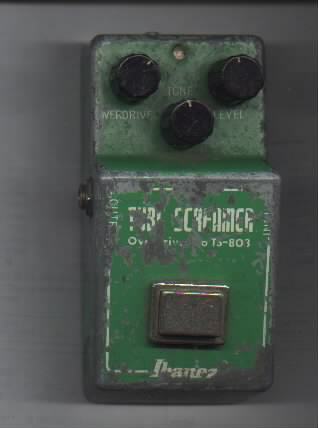 Jim still uses his TS9/808 live and in the studio, and I have fixed it up for him, it sounds AWESOME!!!! On the right is his TS9 with TS808 guts. 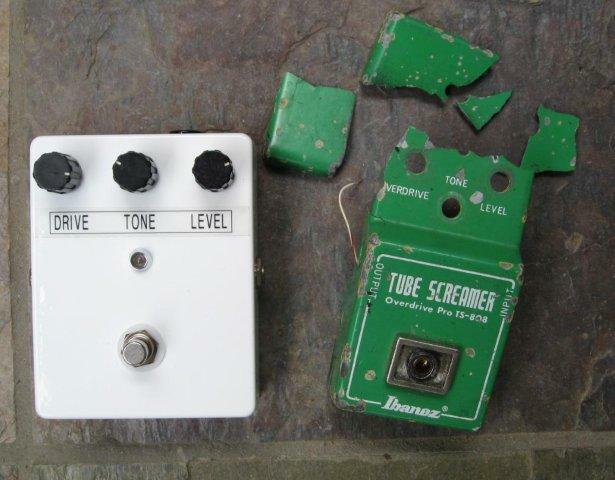 Here is another TS9 that got "stepped on". 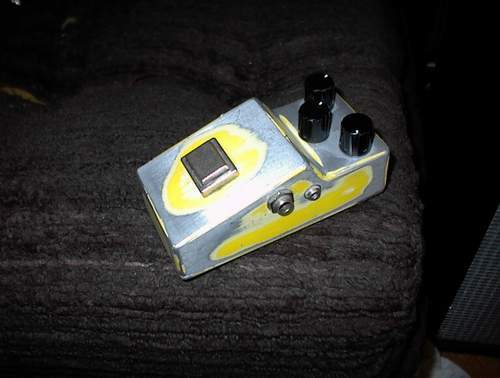 I was going to put the guts in a new shell for the customer but there was very little of his pedal that I could use so he ended up getting almost a whole new pedal. 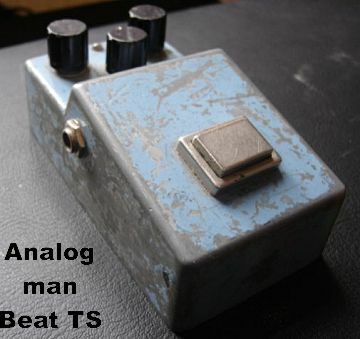 Here is a pedal from Filip in Belgium, a 1980 TS808. He says it sounds great! This is not BEAT but the eggs to make it were! 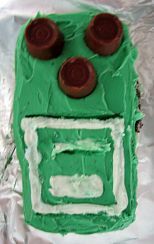 A cupcake tube screamer from a customer named Tony's wife. Yummy. 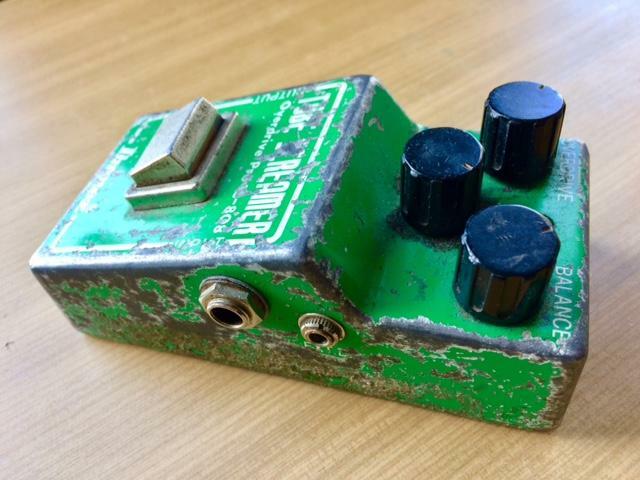 Curtis Laur who got a bunch of pedals from us when he was working for Gn'r made a submission to this broken Tube Screamer page. He built this TS-808 into a new box with true-bypass for Fred Tackett of Little Feat. The story was that he was playing at a ski resort with the band and he did the show with ski boots on and the first time he stepped on the pedal he completely crushed it. 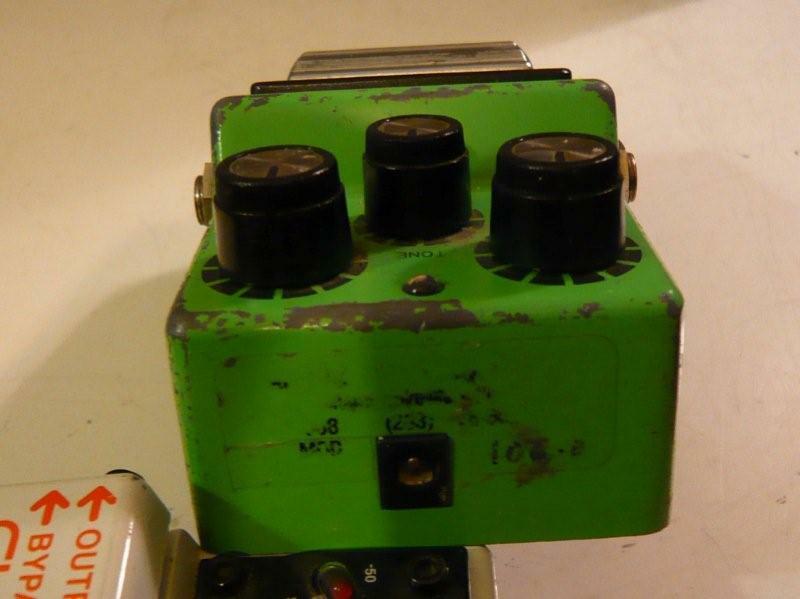 Here is a rare narrow (Euro) TS-808 from Marijn in Amsterdam, he got it for 50 Euro!